Birchall Blackburn Law > Blog > I have seen will writing kits in shops – are they any good? I have seen will writing kits in shops – are they any good? The temptation to write your own will at home to save some money can be tempting. However, as wills are complex legal documents, they have to be written and executed in a certain way and trained professional solicitors will ensure they meet the strict legal guidelines in order to be valid. What are will writing kits? Will writing kits are often sold in book stores, supermarkets and other retail outlets like WHSmith. Even though it may appear that you are saving a few hundred pounds by writing your will yourself, this may not be the case. If mistakes are made in the writing and executing of the will, it may cost you more money further down the line to correct any errors. Wills are complicated legal documents that have to be written in a particular way in order for them to be valid. It is beneficial to get your will professionally written so you have the peace of mind of knowing that your will has been written correctly, and that it meets all legal criteria and is valid. There would be nothing worse than believing you have a will in place, only for your beneficiaries to find out that the will was not valid, and your assets did not pass to the people you intended. Having your will written by a qualified solicitor will also minimise the risk of your will being challenged. For more information on this, read more on preventing challenges to wills here. There are several different types of wills including mirror wills, simple wills and living wills. You want to ensure you have the right one for you. Each vary in price, but many solicitors take part in Will’s Weeks or Will’s Months, in which a solicitor or firm of solicitors will draft your will for free with the expectation that you will donate money to the chosen charity that the firm is supporting. Birchall Blackburn Law took part in St Catherine’s wills week earlier in 2018 which raised £1735.00 for St Catherine’s hospice based in Preston. Having your will written by a solicitor will ensure that your will is valid, accurate, and less likely to be contested. 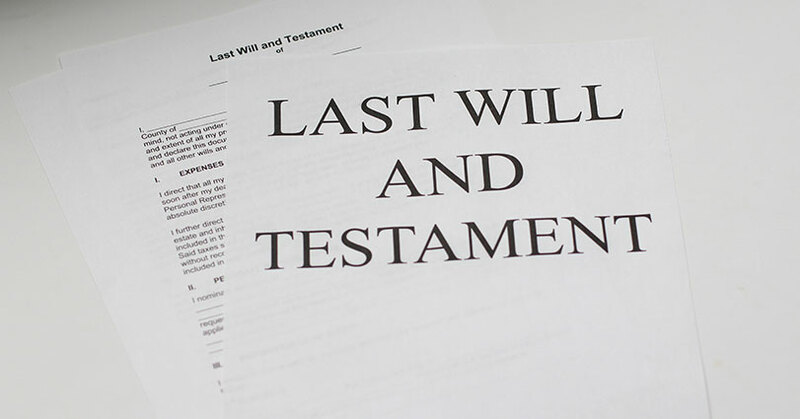 If you would like more information about wills, please visit our wills page here. Solicitors for the Elderly website, here.